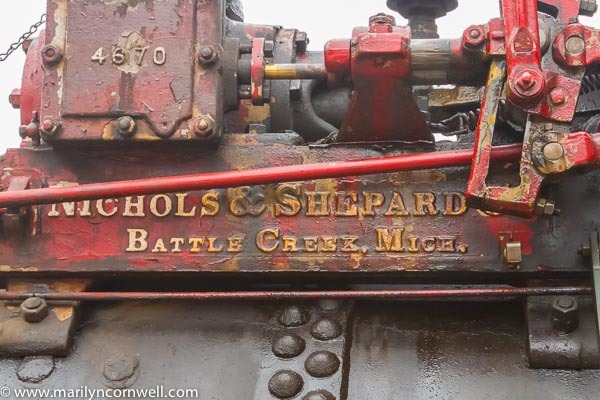 Marilyn Cornwell Blog: Full Steam Ahead for 2016! 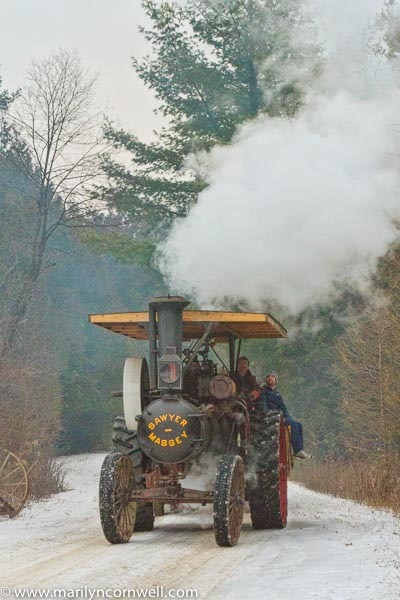 Full Steam Ahead for 2016! Steam Traction! These are too big to be called 'Tractors'. That's what these pictures show. We drove to Puslinch Ontario which isn't very far away - only a half hour or so. It seemed like a century away - into the rural landscape of Ontario and into the past of farming. This is part of the collection of private collector and restorer Wayne Fischer. He had an open house for the volunteers of the Steam Heritage Museum. This is a private facility on his property. Volunteers were allowed to invite a few friends and Gerry and I were lucky to be invited. We saw dozens of these massive steam tractors in the shop. The facility houses his own collection and has engines from other collectors so it is a big facility and is packed with these machines in varied states of restoration. At the far end is a boat which has the story of being the sister boat to the "African Queen" in the Humphrey Bogart movie. It seemed much bigger than Strasburg. Or was it the music and food and everyone talking and enjoying themselves. There was a fiddle orchestra for entertainment along with the big table of potluck food. It was a wonderful community event full of good spirits and steam enjoyment. And why have the Open House in the winter? 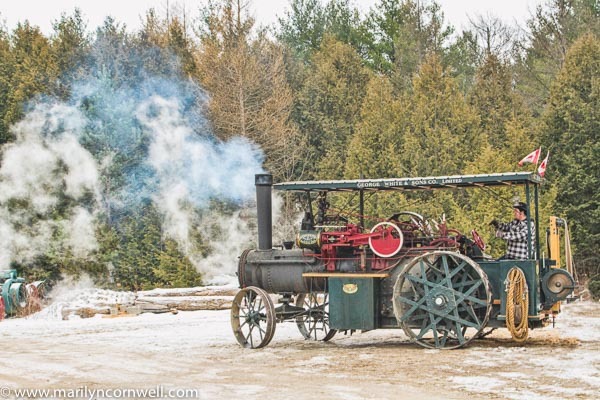 The reason is significant: this is the only place in Canada that you can come year round and see the machines running on steam. The facility has special telescopic smoke stacks to allow the steam engines to be started indoors and driven outside. What an amazing day for lovers of steam! See and read more here. Or also here for a news article. And wrapping up 2015 there is Contest News of Finalist in the November Betterphoto Contest for a Japanese Iris image. And I've published a photo essay about the Calamus Rusty Shed at Lifeashuman.com. It's here.